Books Not Yet in Print. You’ve all heard me talk about an “ideas” file, but this takes that concept one step further. Peter puts everything from an idea for a story to a great title idea to a thought-provoking image in a folder called “Books Not Yet in Print.” Often, he’ll go so far as to design the book jacket that goes along with the idea or title, even if the story hasn’t even been written yet, just to make it feel more real. I now have a digital folder on my computer desktop that bears the same title, and I’ve already begun saving ideas in it. Something about the name of that folder is so much more motivating, and confidence-building, than “Ideas.” It’s like holding an empty rice bowl up to the universe – it sends a message of optimism and expectation that creates an ideal environment for ideas to be actualized. Thanks, Peter! Fantastic idea! Thank you for sharing. I saw the list of faculty on the Children’s Lit Conference Facebook today, and was so excited — but how does one choose between Peter H. Reynolds and Kate McMullan? P.S. It is so very good to know you’re back to blogging! I missed your posts. Along the lines of positive thinking, how does one find an illustrator to get a book off the ground? Unless one is an author/illustrator, it’s ill-advised to attempt to find your own illustrator before you have found a publishing home for a manuscript. This is one of the biggest misconceptions amongst aspiring children’s book authors. Many first-time authors assume it is their responsibility to identify an illustrator for their book – or that it will enhance their chance of selling it to an agent or publisher to do so. In fact, nothing could be further from the truth. Publishers pride themselves on identifying the right illustrators for projects, and consider numerous different factors in doing so. Unless you are an author/illustrator, more often than not submitting manuscripts with illustrations already in place results in rejection of one or both elements. Time and again I have heard “love the text, hate the art” or vice versa with respect to submissions… and if the writer has committed to the artist, the whole project goes out the window. It’s best to submit a manuscript as text only. By all means, include in your cover letter some of your ideas as to the style of artwork you envision, even drop an illustrator’s name or two as an example, but be prepared to be flexible. Or, if your book is heavily visual, include a dummy with written descriptions as to what the accompanying illustrations might be like so that they can be easily visualized. But leave the final decision about illustrations to the people who know best – the professional editors and publishers who will be bringing the book to market. Cool, so glad you are posting on your blog again Emma. I have missed these. 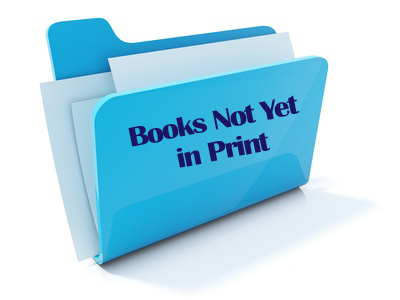 As for the “Books Not Yet In Print” idea, excellent… only I will do mine Hard Copy as my laptop is doing strange things at times and is already wade down. Over time I will get round to clearing it out. But so pleased you are back here.